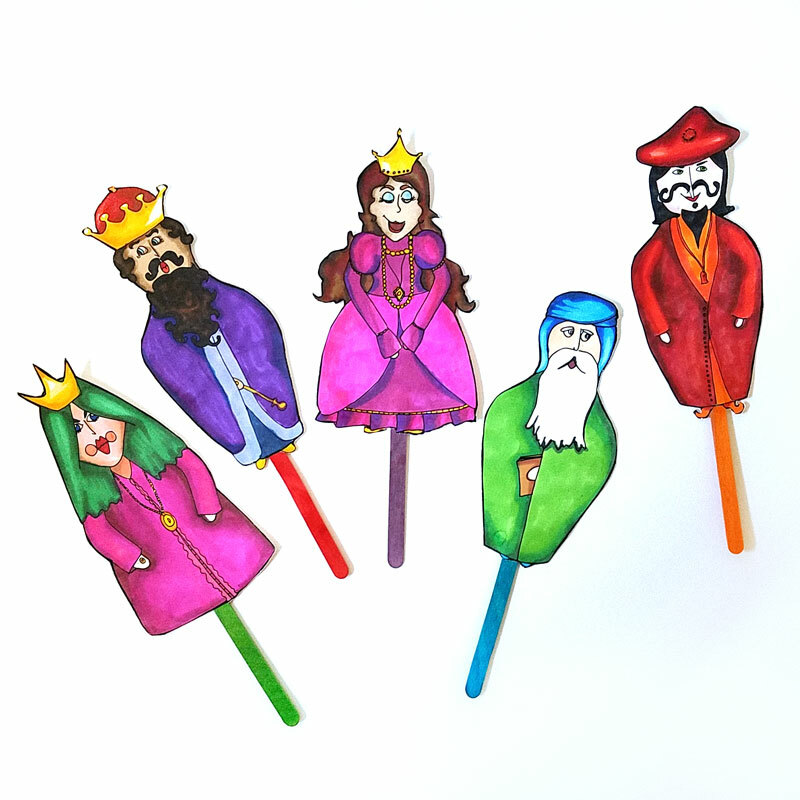 Color your own Purim puppets to put on a show! 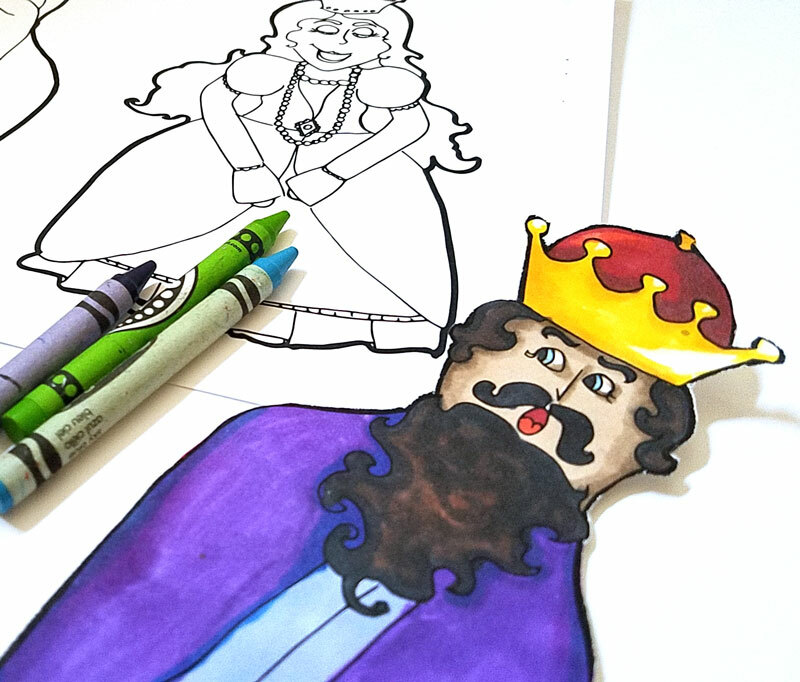 Use it as a teaching tool to teach the story, a fun Purim party activity for kids or grown-ups instead of this Purim craft, or just print them and have fun on your own. Disclosure: this post contains commissioned links. 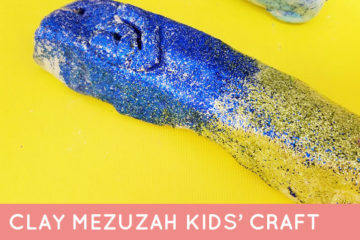 With Purim right around the bend I wanted something fun for M to do at HOME. Even though he does plenty at school for each chag, I think he feels special when he already knows what the teacher is talking about because we’ve done something together. 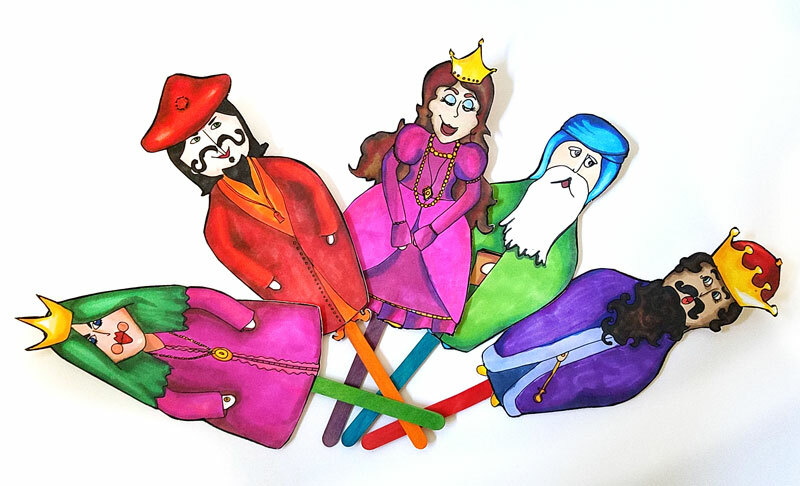 We still have our felt Purim play set from two years ago, so this time I made these color-in Purim puppets – something he can get involved in with me, that focuses more on the story of Purim rather than the traditions. 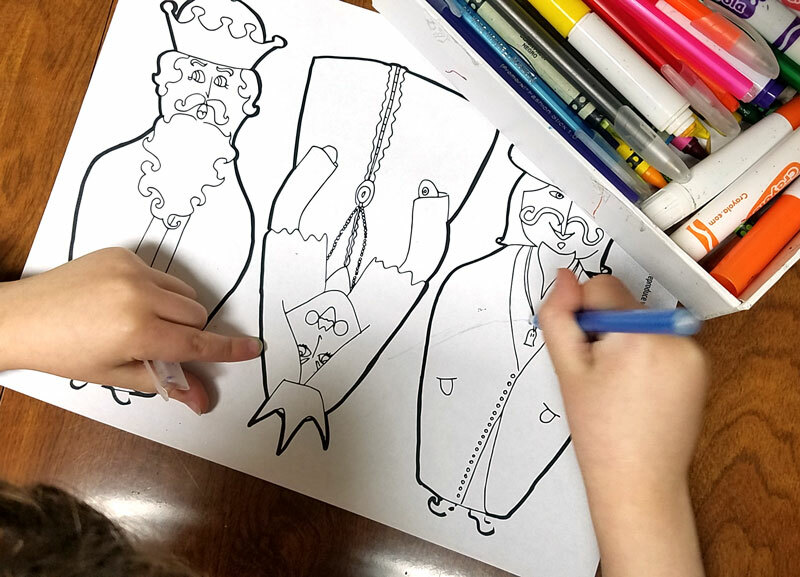 Yes, I know, all these photos show a version of these color-in Purim puppets that were clearly colored by me. M did make a version with lots of gold glitter and black marker, but they disappeared before I had a chance to photograph them for this post! They are featured in our video below, though. 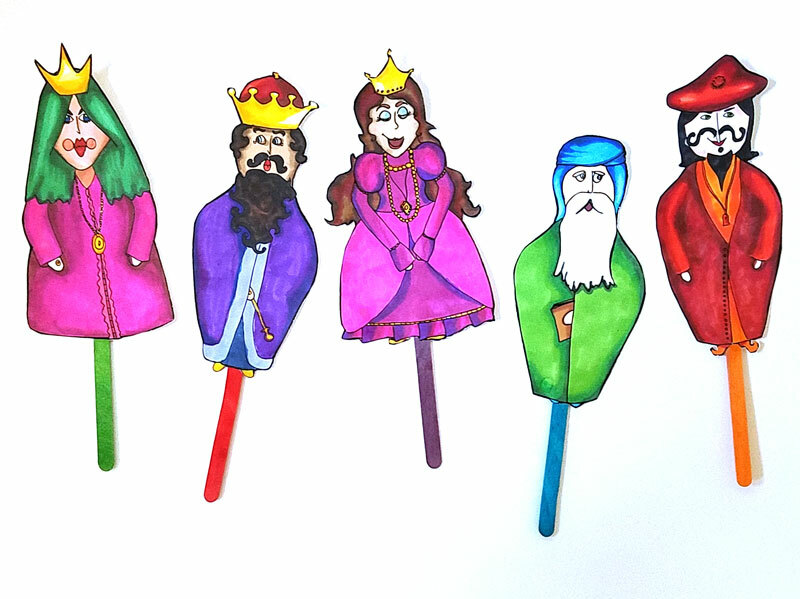 As you can see, I colored these Purim puppets as well. 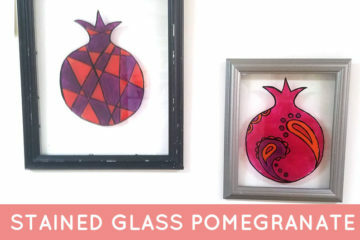 That’s the beauty of them – they are simple enough for kids, but are a fun challenge for grown-ups as well. I used Prismacolor Premier brush-end double tipped markers, including the portrait pack. I was able to nail Esther’s olive skin tone, while getting a variety of tones for the other characters. In case you prefer to just grab the full color version, I did create a printable color set, available in my Etsy shop. Queen Vashti: The evil queen who worked her Jewish slave maids with a cruel fist. She was killed by her husband for not obeying him. Haman: The primary villain of the story, with his infamous triangle shaped hat. He twisted events and facts so that the king agreed to kill out all the Jews. 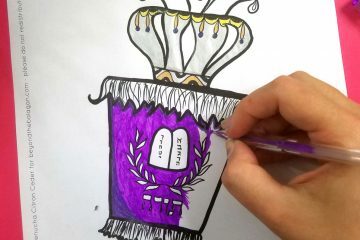 Queen Esther: The hero of every little Jewish girl, Esther did not want to be queen but she was chosen to replace Vashti. She risked her life for her people and used her influence to save them. Mordechai: The leader of the Jewish people at the time, a righteous man, who was also Esther’s uncle and guardian. King Achashveirosh (Ahasuerus) – The foolish king of Persia at the time, who played along with Haman’s game, but was also willing to spare the Jews when he felt that Haman was trying to grab his crown – and when he found out that Esther is Jewish. Here is a full rundown of the Purim story for those of you want it. 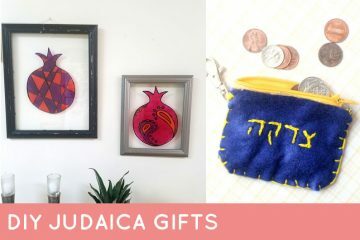 The story of Purim is about a strong female figure, in a period where the law of the land was that if a wife does not obey her husband she is worthy of death. She is a true role model for our daughters, a quiet yet heroic personality, who did not WANT to be queen, but used it to the advantage of her people. 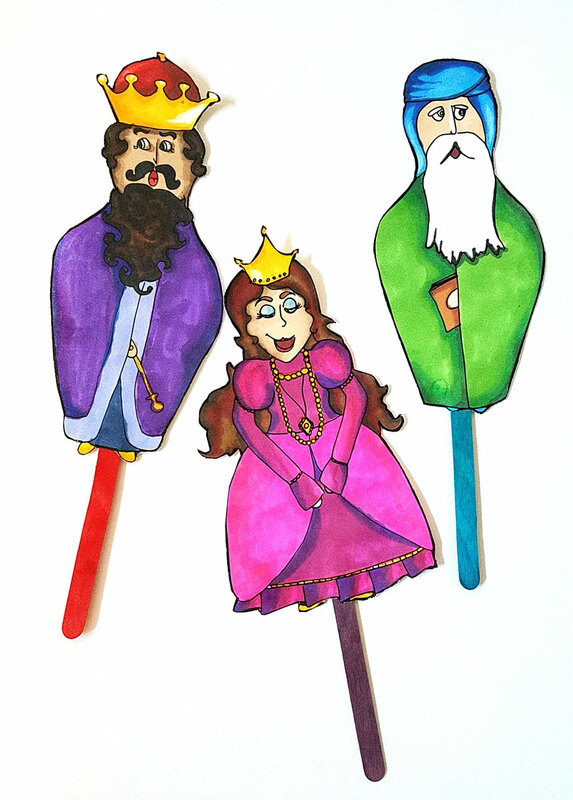 Use these fun Purim puppets to put on a show with the family or the class. 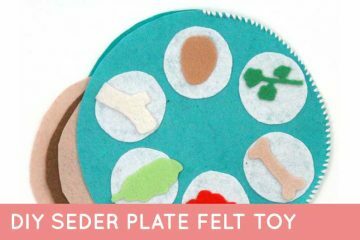 Use it to teach the story of Purim or for some fun role play. 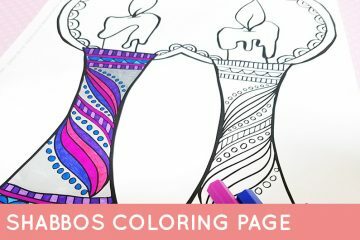 These were mainly designed with kids in mind – if you’re looking for something that’s great for teens or adults check out these color-in masks. An extra sheet of card stock for each page. It’s easy! 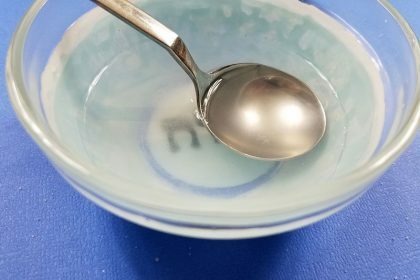 Watch the video below or follow the step-by-step right after it. Cut them out back to back with a piece of card stock, so you have a stiff paper the same shape as your puppet. 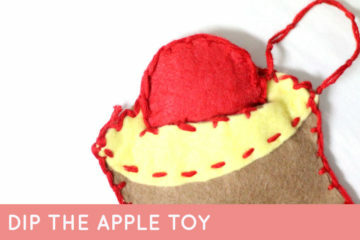 Glue the puppet and the cardstock together so that they sandwich the craft stick. You don’t have to sandwich it with card stock, it’s just a wee bit floppy that way. If you’re doing it with younger children, skip this step to simplify the process. 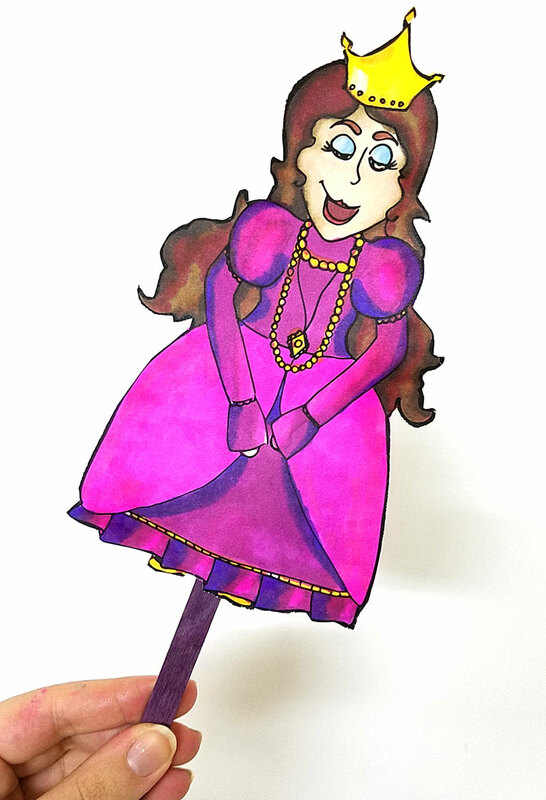 If you really plan to put on a fun show for the kids, definitely back it with card stock. 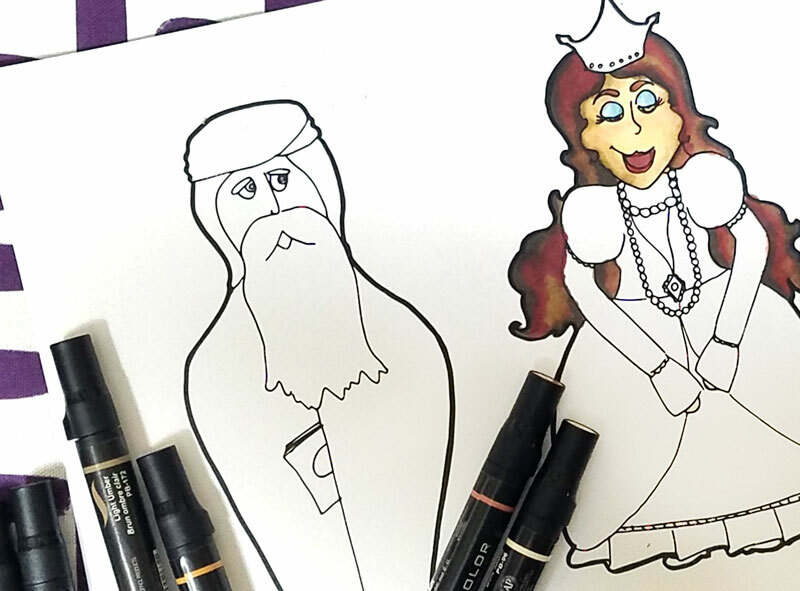 In case you missed it, you can download the free printable Purim puppets below. Donations are optional – we want everyone to be able to enjoy these! 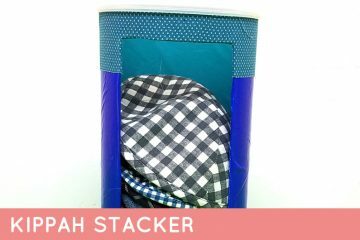 We give the option to “tip” us to help us run this blog, as we don’t yet have ads and we are trying to cover our basic running costs. 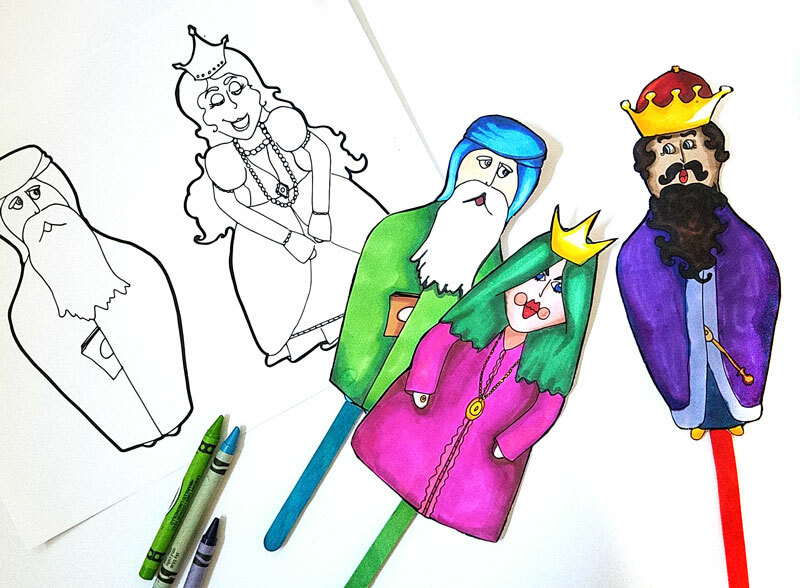 Who will be coloring and enjoying these Purim puppets? What’s your favorite part of Purim? Comment below!